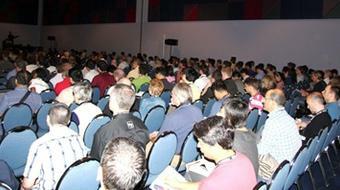 Every year NVIDIA’s GPU Technology Conference (GTC) gets bigger and better. One of the aims of GTC is to give developers, scientists, and practitioners opportunities to learn with hands-on labs how to use accelerated computing in their work. This year we are nearly doubling the amount of hands-on training provided from last year, with almost 2,400 lab hours available to GTC attendees! We have two types of training this year at GTC: instructor-led labs and self-paced labs. And to help you keep up with one of the hottest trends in computing, this year we’re featuring a Deep Learning training track. Keep reading for details. If you haven’t registered for GTC yet this year, keep reading for a discount code. You can see a full list of the hands-on labs available by checking out the GTC schedule planner. If you don’t register, seats are assigned on a first-come, first-served basis and will be opened up a few minutes after the start of a lab session. In addition to all the training opportunities available at GTC, everyone who attends a hands-on lab will receive free lab access codes for use after the show at nvidia.qwiklab.com. This site has in-depth versions of all our self-paced hands-on labs – only a web browser and internet required! Make sure to join us for some great hands-on training at GTC 2015! Readers of Parallel Forall can use the discount code GM15PFAB to get 20% off any conference pass! Register Now!